Led by Bishop Carter, travelers will visit Venice, Assisi, Siena, Florence and Rome while studying the Gospel of Mark and the legacy of Peter during April 3-12, 2018. I am excited about our spiritual journey to Italy in 2018. 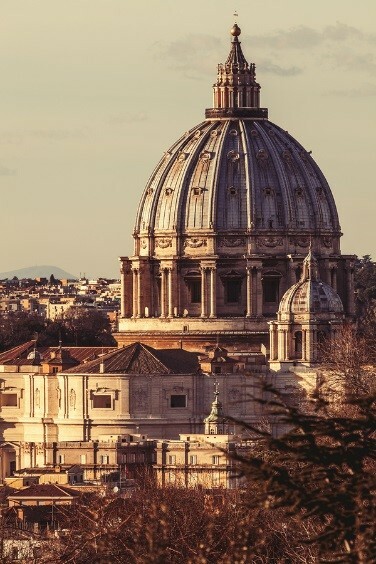 As we visit the stunning cities of Venice, Assisi, Siena, Florence and Rome, we will be immersed in the rich traditions of the Christian faith. We will learn more about the gospel of Mark in Venice and the legacy of Peter; we will read the dialogues of Catherine of Sienna and the meditations of Dante, and we will reflect on the renewing vision given to Francis of Assisi. In Rome, as we visit the Sistine Chapel, we will consider the legacies of the most recent Popes, especially John XXIII, Pope John Paul II and Pope Francis. And in each setting, we will be inspired by the world’s great art and architecture. I hope you will join friends from across Florida on this Easter pilgrimage. View more information online or in this downloadable brochure.